Happy Friday friends!! I have felt one day ahead all week, so to know that it's actually Friday makes me really happy! We have a few tentative plans, but mostly trying to be outside as much as possible to enjoy all the warmth - hello patio weather! I've been trying out some new to me products recently and wanted to share a few first impressions and also how I'm liking them! Physician's Formula Butter Blush || My favorite bronzer now has a blush counterpart and it's equally as amazing! It comes in two colors, plum rose or natural glow and I decided to go with the natural glow - pure perfection! The perfect amount of pigmentation & has the same scent that made me fall in love with the bronzer. It feels like you're taking your face (and yourself) on a little vacation every day!! Watermelon Pink Juice Moisturizer || I picked this moisturizer up during the Sephora sale a couple weeks ago and I'm so happy with how hydrated it makes my face feel. You can use it in the mornings and at night and there is no oily residue after. I like that it's lightweight and dries almost instantly - perfect for right before bed or before you put your makeup on in the mornings! Oribe Moisturizing Cream || I'm pretty minimal when it comes to hair care, but I've recently noticed that my ends have been getting very dry. This could be because my hair has been colored or it could just be the cold winter we've had. Either way I started using this moisturizing cream last week and based on first impressions and three uses - it actually works! It's a pricey product, but it does come in a travel size that is a bit more budget friendly and I imagine will last a long time since you only need a quarter sized amount! NARS All Day Luminous Foundation || I don't use foundation every day, but if I did, then it would certainly be this NARS foundation, which is so light and airy. I picked it up when we were in Dublin after Lydia had mentioned how much she loves it and her skin always looks flawless so I thought why not! It applies easily, natural finish on the skin & doesn't feel heavy at all, which is really important as we get into these hotter months! It really is long wear and I don't feel like it melts off my face which so many foundations tend to do! Patchology AquaFlash Moisturizer || I tend to use this moisturizer right after the shower so that my skin still stays super hydrated! It absolutely lives up to the name and much like the pink juice moisturizer, doesn't have an oily residue and soaks into the skin almost immediately! I've been using it for about a month now and really loving how my fresh my face feels! Would love to know some of the beauty products you have been trying and loving! 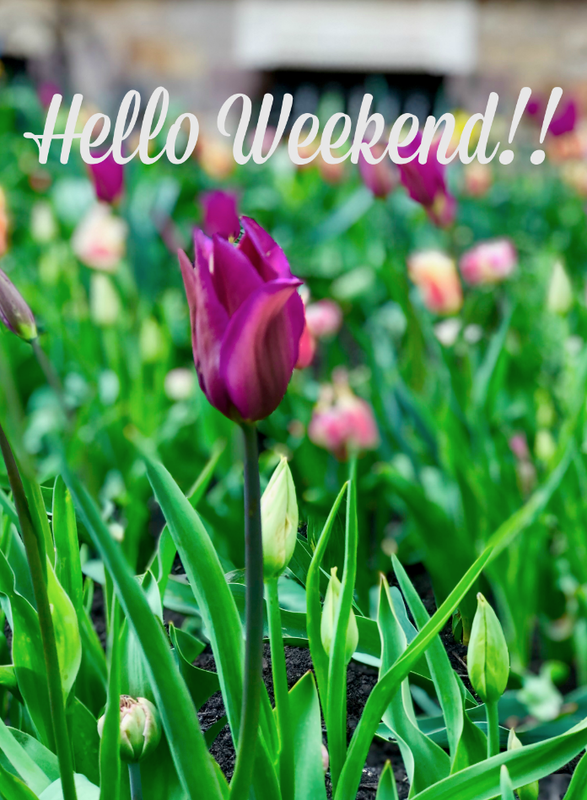 Hope you have a great weekend! I was just looking at this NARS foundation the other day. I've been thinking about switching up my foundation and have never tried NARS. I'm obsessed with their concealer so I was hoping the foundation was just as good! Good to know it isn't heavy and you like it! I will have to check it out. Happy Friday, Biana! The butter blush sounds so cool! Happy Friday Beautiful!! I would love to try that Aquaflash moisturizer! And a big YES to Butter Blush!! Have a sweet weekend! Love finding new beauty products and that foundation sounds wonderful!! Cheers to the weekend for sure. I've heard about the blush butter, awesome you like it. My skin is SO dry right now... I need to try that moisturizer! Happy Friday! Everything sounds so good. The Nars foundation sounds very nice for your complexion. My hair has been feeling a little dry lately so maybe I’ll have to pick up that Oribe cream! I have their texturizing spray and I love it! I love every Oribe product so I'm sure this is amazing! Also have the blush and love it and I have the Watermelon sleeping mask and highly recommend!! If I ever run out of blush I definitely want to try that one!! Such a pretty color. Have a great weekend! I've always heard good things about Nars foundation! I typically buy drugstore makeup, but that darn NARS foundation has me wanting to try it so bad! I have to wear foundation every day, but the kind I'm wearing currently is a little too heavy for summer, so I really should check out NARS since everyone always talks about how light it is! I love oribe products. I use their brightening blond shampoo and conditioner. I want to try the watermelon moisturizer. I love the Physician's Formula bronzer...but it broke me out so bad, so I had to stop using it. I think the scent is what did it, it's so strong. The blushes look so pretty. The Watermelon Pink Juice Moisturizer interests me and I love the PF Butter Bronzers and just picked up the highlighter. I love it! I have seen a lot of watermelon face products lately! There is a watermelon sleep mask my friend was telling me about yesterday...and now this! I will have to check it out. Hope you have a great weekend! OH my goodness! I love Butter Bronzer and I didn't know there was a blush! I will definitely have to check it out! All these products sound amazing, but I am definitely the most interested in the Watermelon Pink Juice Moisturizer! The Oribe moisturizing cream sound great, I'm going to have to check that out. The Oribe stuff is amazing! I have been using it for years and a little really goes a long way! I noticed while traveling for work this week that my skin was not absorbing foundation well at all, so maybe I'll check out that light moisturizer you mentioned. I really just need to stop being so lazy with skin care, if I'm being totally honest. lol. But a primer/moisturizer would be good... and that sounds so refreshing! I've been so curious about the NARS foundation so I'm happy to hear you like it! I really like the sheer glow, but haven't used it in a few years and have been thinking about picking it up again, but maybe I'll give this one a try instead!